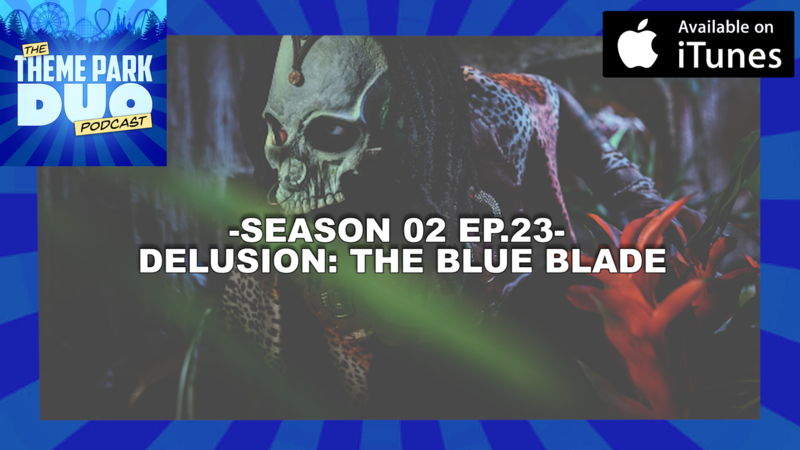 On another episode of The Theme Park Duo Podcast, The Duo talk about their experience at Delusion: The Blue Blade in Los Angeles! One of the most unique themed experiences in Los Angeles, Delusion puts it’s guests in the middle of a play and has them as active participants. The Duo have come to love the experience Delusion puts together, but did they love this years incarnation? Listen and find out!